We’ve heard some feedback that our readers love the JD Profiles but they almost wish the profiles came out less frequently so each profile would get more attention. They mentioned that this isn’t the type of stuff you hear about in law school and there’s only so much time to read in a given day. So, dear Readers, thank you! We’re listening. Every so often, we’ll return to our archives and remind you what you missed along the way. Our first profile is about Matthew Emmer, J.D. turned writer and editor. Matt’s experience in media dates back more than 25 years, including stints at CNN and the Federal Communications Commission. After law school, he worked as a communications lawyer/lobbyist in DC, mainly representing cable companies. He stayed at the same firm throughout his legal career, first as an associate, then as a partner. Today, we are profiling Gyi Tsakalakis, a former Michigan attorney who is taking a break from legal practice to help attorneys build their professional reputations online. After practicing at a small firm in the suburbs of Detroit, Gyi decided to follow his entrepreneurial instinct and started AttorneySync with a friend from undergrad. 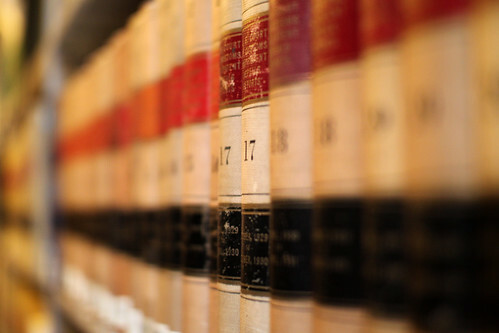 AttorneySync helps law firms build their online presence. Kevin Noonan, Ph.D., is a partner at McDonnell Boehnen Hulbert & Berghoff LLP, an intellectual property boutique with offices in Chicago and Washington State. With a PhD in Molecular Biology from Princeton University, Kevin specializes on biotechnology clients, including hot topics such as gene cloning and gene patenting. Kevin also co-founded the blog Patent Docs, which he manages with Donald Zuhn, Jr. Ph.D., his colleague at MBHB. Kevin talks to us about how a cab driver in New York City decides to become a patent attorney and how teaching and blogging about biotechnology patent law keeps him updated with the current issues affecting his clients. Nicole Gesher is a San Francisco based mediator and attorney. She founded Gesher Mediation in February of 2010, where she happily helps resolve conflicts for her clients throughout the Bay Area. While relatively new to the ADR scene (she’s not even 30 years old! ), Gesher tied for 2nd place in the Individual Mediator/Arbitrator category in the Recorder’s Best Poll (San Francisco based Legal newspaper – results published 12/6) (PDF). She is currently a panelist for the Bar Association of San Francisco, and the Contra Costa County Superior Court. She is also a volunteer mediator for Community Boards, a local non-profit. Megan M. McKeon worked her way through the evening J.D. program at The John Marshall School of Law and graduated in 2004. By day, she worked as a Marketing Magician for Schiff Hardin, an Am Law 200 firm, where she assisted with the firms marketing and recruiting efforts, including handling media relations, drafting external and internal communications, and promoting firm-hosted events. Rather than use her law degree to practice law on a daily basis, Megan continued to work in the marketing department of law firms. Eventually, Megan returned to school and achieved her M.B.A. in Marketing Management and Leadership and Change Management from DePaul University’s Charles H. Kellstadt Graduate School of Business. Today, she applies her legal and business background as Marketing Director for McDonnell Boehnen Hulbert & Berghoff. Richard Russeth has worked in-house at various multi-national companies in the food industry since his graduation from the University of Minnesota Law School in 1982. In his roles as Assistant General Counsel and General Counsel, his clients may ask him questions relating to employment, intellectual property, or international tax law on any given day. Rather than focusing on one area of the law, Richard has become a rare entity – a self-proclaimed generalist. The Last Generalist talks with us once again about his career path, networking philosophies, technology, and the implications of the Food Safety Modernization Act for FDA lawyers. Matt Podolnick graduated from an Ivy League law school. Like many of his classmates, he summered at a high-end litigation boutique in New York and accepted a job there post-graduation. After two years, he decided to head to a medical malpractice firm where he’d get more hands-on experience. He tells us why he never doubts taking a 40% salary cut and why he’s hesitant to want to be Superman. Susan Cartier Liebel worked in advertising then sales for ten (10) years before she decided to go to law school. As a law student, she realized there were hardly any resources for anyone who wanted to start their own law practice or learn the business side of running a law practice. She took the initiative, sought out mentors from her clinics and network of contacts, and opened her own law firm with friends from law school shortly after she graduated. Since then, Susan has successfully practiced as a solo/small firm founder. Based on her own experiences, she started to teach others how to do the same. She served as an adjunct professor at Quinnipiac University’s School of Law and then opened her own consulting firm. About two years ago, Susan brought the idea to a larger scale and started Solo Practice University, the ‘practice of law’ school. Susan talks about her journey and the void SPU fills in legal education. Hey Folks, I apologize about my long absence. Things have been a little hectic in my life. Basically, I love what I do. I love reading about the legal industry, keeping up-to-date with blogs and social media, passing on advice about job openings and reviewing resumes and cover letters. From the feedback I’ve heard, I think that I’m offering a useful service, especially with the Am Law listings. Therefore, I’m putting the question out to you dear readers, how can I best monetize it? What would be a fair price? What would I need to change to charge? (E.g., more consistent schedule, etc.) Or, on the other side of things, how can I best market my job board? Once I start taking on freelance clients, it’s hard for me to also maintain my own websites. Unless I can figure out a way to crowdsource the funding for this site so that I can continue to produce and expand the content, I think the best option for me will be to dedicate my skills to one brand’s success (brand = law firm). Your thoughts – in comments or in an e-mail (melissa at recruiteresq dot com) – are appreciated. I know that I’ve mentioned this before: I *am* working on them. I’m also trying to figure out a better way to present them on the site without using Google Docs. I figured out how to create a table with sorting capabilities on the front-end of my site. No more logging in, going to external sites, etc. With all of that work, however, I haven’t completely finished updating the Am Law 200 Jobs. But maybe later tonight I’ll publish what I have – Am Law 200 Jobs (Firms beginning with A – H). I’m going to be blogging from the AIIM Expo over the next few days. In case you haven’t checked it out, take a look at the site. I’ll have a post later tonight about which talks I plan to see, which talks I want to see, and how I’m kinda bummed that I missed the pre-conference certificate sessions. I went last year and I can highly recommend the Enterprise 2.0 certificate program and Hanns Kohler-Kruner as a teacher. You can also take a look at when this course is offered other times through out the year at AIIM’s website. For those in the Philly area, there’s a Tweetup this week. You should all come out!